This omnibus edition brings together the three books of Nicholas Woodsworth’s critically acclaimed Mediterranean Trilogy in a single volume for the first time, allowing the reader to fully appreciate the scope of Woodsworth’s search for a distinctively Mediterranean ‘cosmopolitanism’. 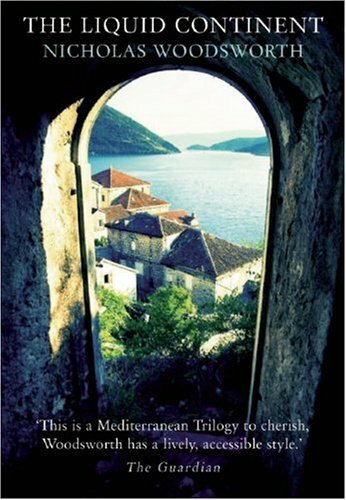 Combining travel narrative, history and reflection on contemporary lives and cultures, Woodsworth finds an intimacy, a garrulous warmth and a near-tribal sociability as he travels from Alexandria, through Venice and finally installs himself in a former Benedictine monastery in Istanbul overlooking the Golden Horn. Responding to this experience, he argues that the sea should not be seen as an empty space surrounded by Europe, Asia and Africa, but as a single entity, a place from whose coastlines people look inwards over the water to each other, for it has its own cities, its own life, its own way of being. Nicholas Woodsworth was born in Ottawa, Canada in 1953 and grew up in Africa and South-East Asia. He was Africa Correspondent for the Financial Times in the late 1980s, and served as the FT Weekend’s staff travel writer from 1990 to 2003. He lives with his wife, Jany, in Aix-en-Provence.